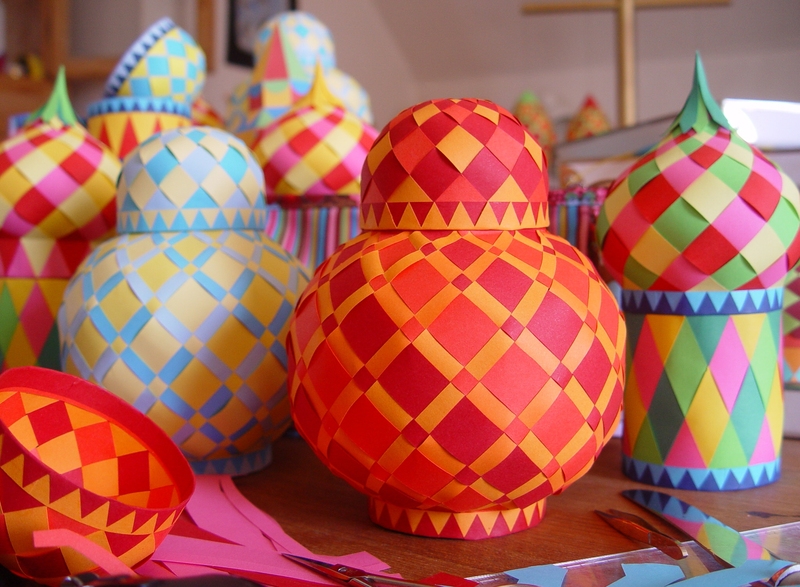 If you can manage the Onion Dome Box, you can also make this Jar Box. The process is more or less the same. I include the patterns. 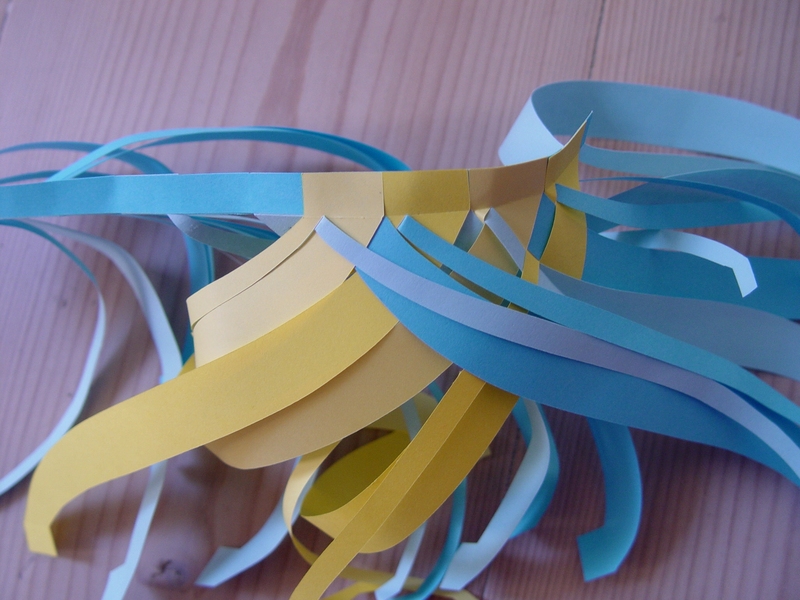 The pages are filled up with parts so that you may mix and match colours as you please when you work. 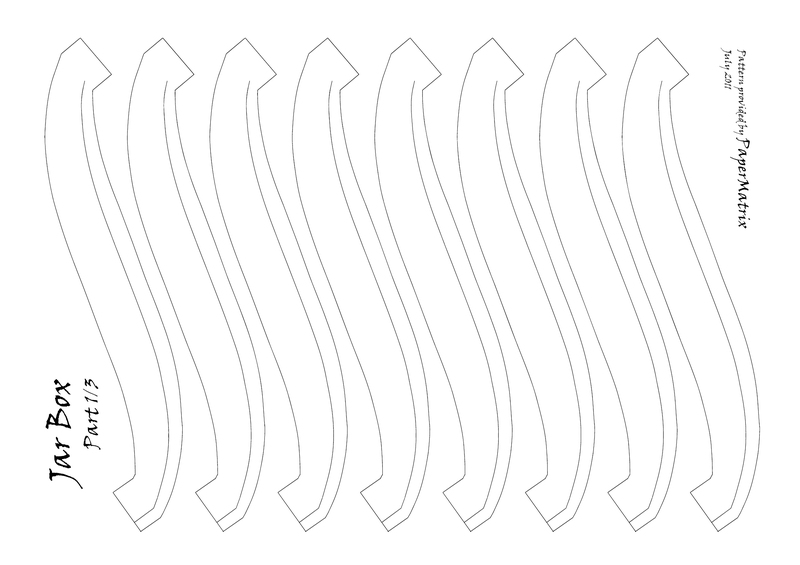 For the lower part you need: 24 long double strips, 5 narrow 9 mm strips, 1 zigzag strip, 1 round piece with half circles and 1 without. 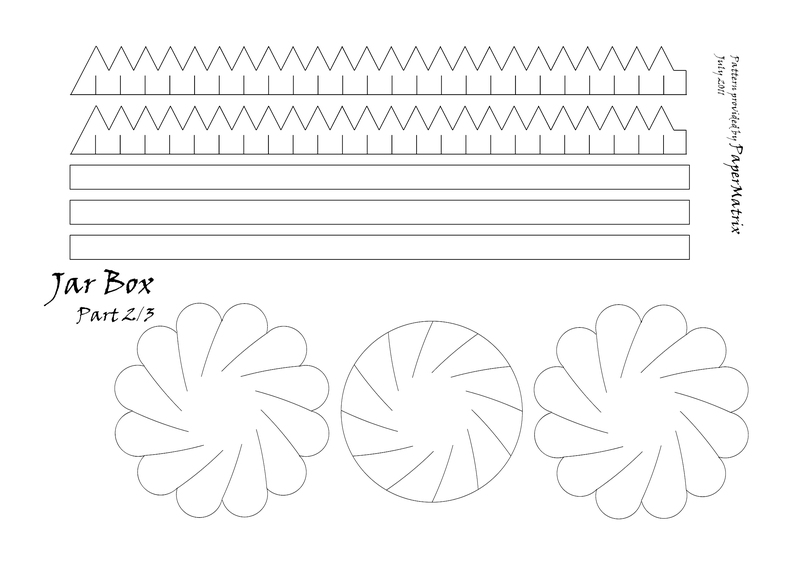 For the lid you need: 1 circular piece with 12 arms, 12 single strips, 1 small round piece, 2 narrow 9 mm strips and 1 zigzag strip. 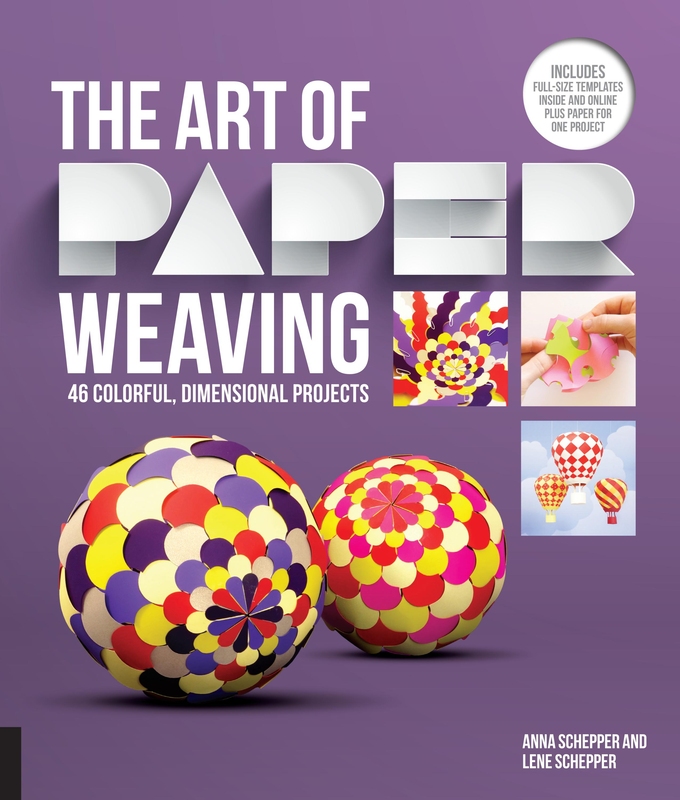 I shall not include detailed instructions for weaving, only a few hints and some illustrations. When gluing the long double strips to the bottom ring offset the strips so that a narrow strip is just above the one at the other side – and likewise the wider strip. Form a ring overlapping the strips. Before you start weaving fold back every single stip. Weave and line up. The pattern at the top edge should be the same as in the bottom. I made the top end of the strip a little longer to make up for the length you loose while weaving. Fold back the rectangular pieces and form a firm edge adding a 9 mm strip on both sides. The diametre is planned to be a little smaller than the bottom to make the box lid fit outside. Make and add the bottom. 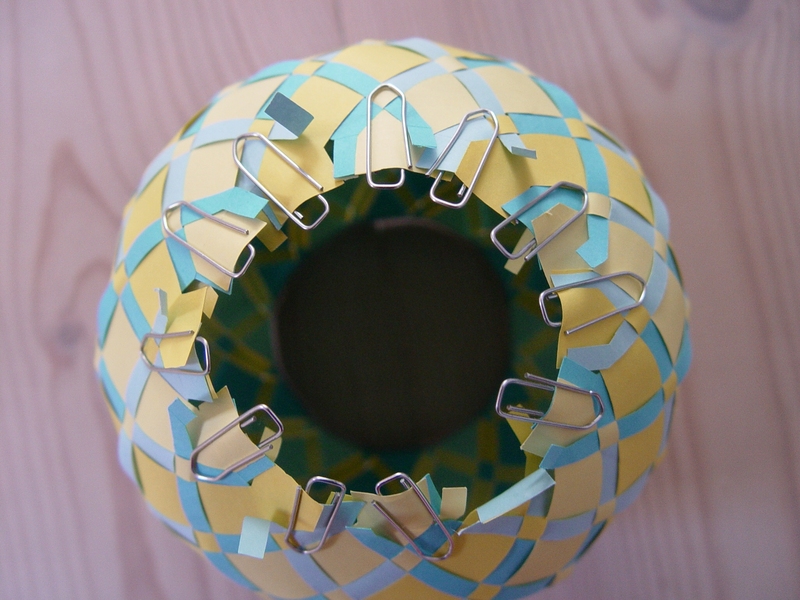 Form a second circular piece for the the box lid from 12 loose strips by gluing alternating colours to a small circular form. This is so lovely. I can’t wait to make one! Thank you for so generously sharing your beautiful work! Oh my goodness, you ARE completely mad! These are some of the most beautiful designs yet. Jeg er utroligt imponeret! hvor er de flotte, de må have været meget svære at lave, det er helt utroligt. Thank you thank you! 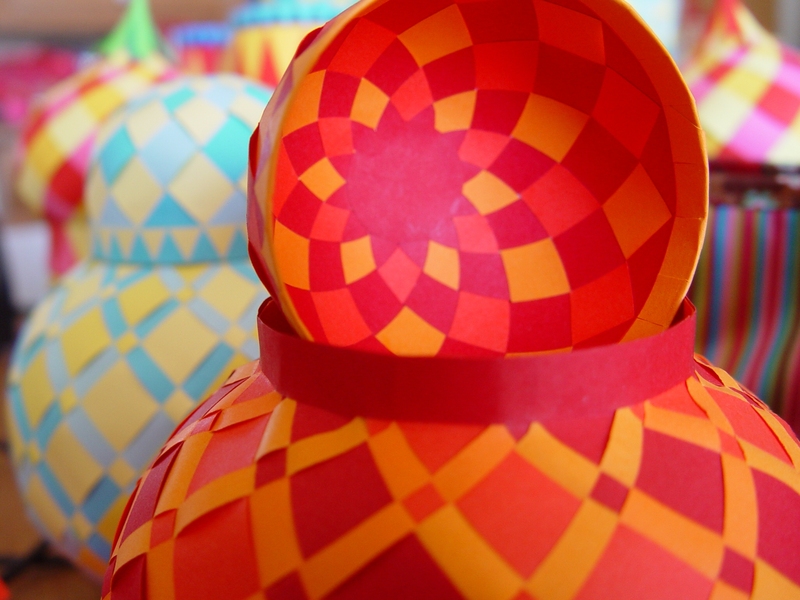 we visit Russia every year, and I’ve been wanting to make my class some dome boxes that remind me of Russia these are perfect! Have you done any tutorials on YOUTUBE? Making tutorials on YouTube is a great idea. Unfortunately I have not made any – yet. Thus for the time being you must make do with the instructions and pictures on the blog. This is impossibly difficult for me, I need some extra help : ( Anyone? For the main part, are the strips supposed to be facing the same direction or the opposite direction? Don’t start out your weaving career by making the Jar Box. Making the Jar Box is not a simple task. It requires skills. You must learn all the tricks and principles first. Start making a simple woven heart like the Gingerbread Heart, then make a simple cone like Cone #001, then make a sphere like Sphere #001, and then the Drum #001. Read the instructions for each item carefully. 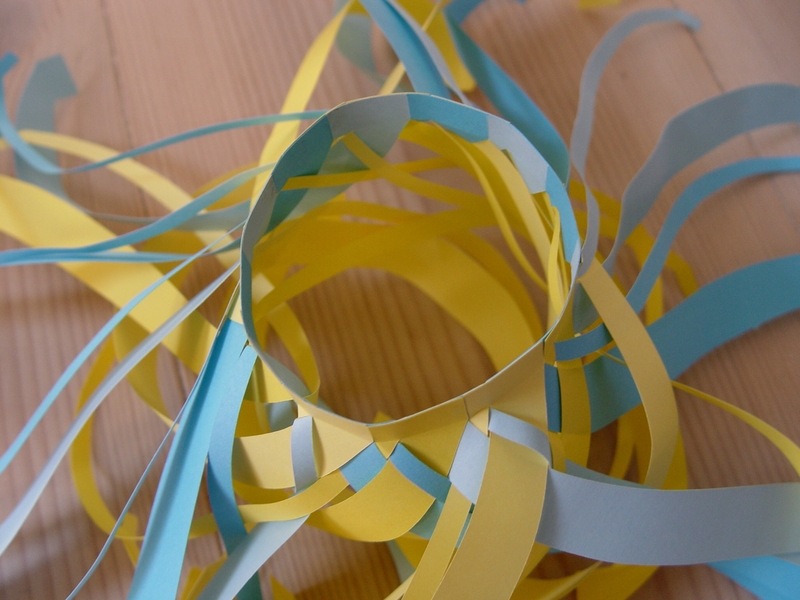 Pingback: Abigail Steinem – Graphic Designer » Fold, trim, weave, glue: repeat. 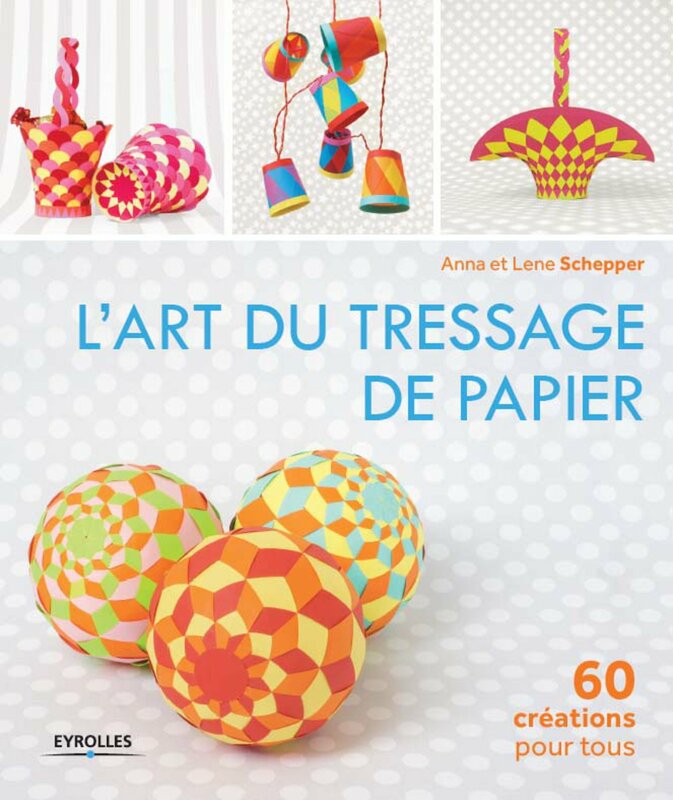 Paper goes 3D! These are the prettiest things I have seen in a long time. I think I might would go crazy trying to work my way up to them though. Really these are so wonderful. Absolutely gorgeous! What a brilliant talent! Thanks for sharing. Denne her er noget af det smukkeste, jeg længe har set! Helt eventyrlig. Jeg har lige lavet onion dome, og har vovet mig til også at gå i gang med jar boxen. Har flettet den nederste del færdig og skal til at lime. Vil lige høre- er det meningen, at de små rektangler for enden af strimlerne skal passe helt sammen til sidst? Mine mødes og kan næsten sættes helt sammen ovenpå hinanden, men ikke helt. Er det nødvendigt for at lave en optimal lukning? Tak for en fantastisk og spændende side! Tak for svar. Det kom til at passe:) Troede den sidste lukning var til bunden og ikke til den øverste kant op til låget. Det løste problemet. Den er blevet helt fin og pæn. Føles ret utroligt, når man er blevet færdig. Tænk at den danner sådan en smuk form. Er helt paf over, at jeg kunne lave den. Tusind tak for jeres inspirerende blog. I puster nyt liv i papirfoldningen. Just found your site and think it is fantastic. Was wondering if you had ever tried making these with fabric. I was thinking of trying this with felt. Do you think it will work? Hello- I am fairly new to paper crafting, but not brand new. I have used my silhouette cameo to and cut out the pieces, however with no instructions it is difficult for me to figure out how this is assembled. Even looking back at the different shapes (heart, sphere and balloon) it does’t help explain how to assemble THIS project. The photos you added have’t helped decipher this for me. Do you have a link to instructions of a video? The project is beautiful, and with directions explaining how to assemble it feel like it is a project that I can make. Yes! You are right. 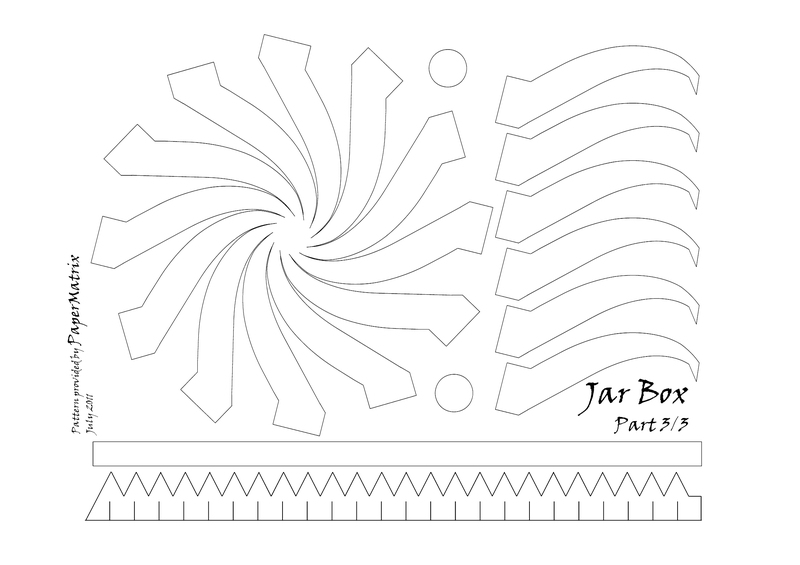 The instructions for the Jar Box are scarce and difficult to work by. Just now I am preparing a couple of books with some new elaborate boxes and detailed instructions. The spinoff is the longer and more elaborate instructions for the new items on the blog. But I shall look into the instructions for the Jar Box and improve them within the coming weeks. In the mean time you may also find help, reading the instructions for the Flat Box with high Onion Dome. Thank you. Playing with the paper I’ve figured out the gist of it but can’t get it right. I’ll look for the books and instructions in the next few weeks. Have a good week! 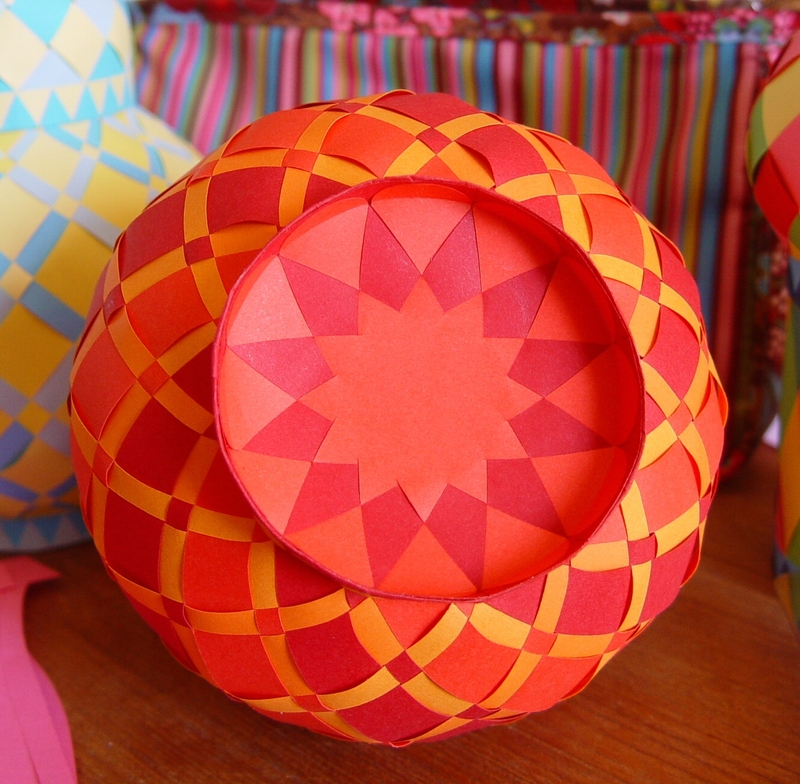 Pingback: 4 DIY Ramadan Crafts | Indus Inspired!